The Formula One traveling circus used up 42,792 tires in 2016, enough to fill up 10 Boeing 747-8 freighters. Track temperatures ranged from 51 degrees Fahrenheit up to 141 degrees. Vallteri Bottas topped out at 231 miles per hour, a new F1 record. Pirelli is once again providing the entire numbers, and they are astounding. 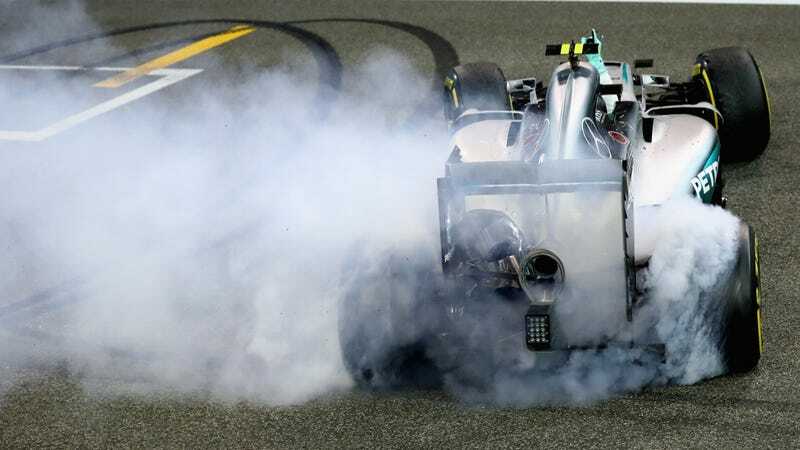 Each year Pirelli likes to give a little breakdown of what it (and the rest of F1) did this season, and it’s the weirdly fine-grained look that actually make the sheer size and scope of F1 understandable. Throughout the course of the year, Pirelli recorded 239,044 miles on its tires, which is actually more than enough for a one-way trip to the Moon. But perhaps no statistic is sadder than the one about Pirelli’s PR team itself, which apparently blurted out 234 press releases in the past year. Of those press releases, Jalopnik has blearily paid attention to one.